This is an exquisite digitally printed Moulin Rouge ombre montage design on a medium weight linen that has lovely drape with body. 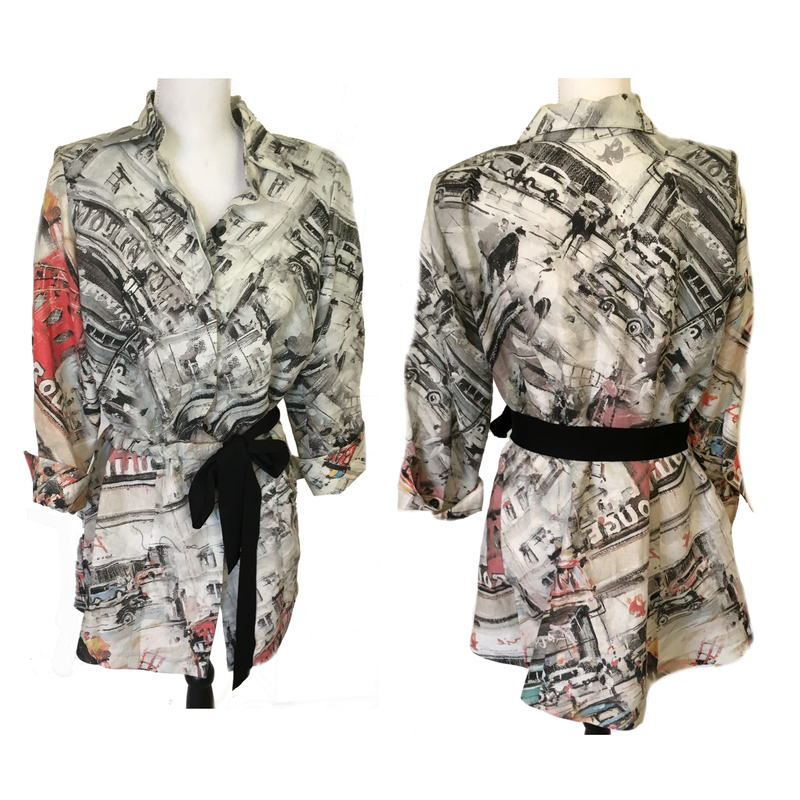 The print features a Paris theme that goes from black, gray and warm neutrals on the left to adding more and more color across the width. Colors include coral orange, dusty blue, amber, aqua, etc. (PANTONE 16-1361, 14-4505, 14-5413, 15-1050, etc.). Absolutely stunning as are all of the digital linen prints! The weight is very versatile, suitable for a skirt, dress, light jacket, shirt, tunic, etc. Dry cleaning recommended by the manufacturer, but we've put many of these linen prints in the washer and dryer and they came out just fine.